Spring Motorcycle Preparation and Safety Tips - Yetter Insurance Agency, Inc.
Spring is here and many of you just want to get on your bike and enjoy the warm weather. Before you do, did you think about preparing your bike for the ride? Preparation can help protect you and everyone else on the road, as well as lengthening the life of your bike. Here are some preparation and safety tips to make your ride as happy and accident free as possible and to help keep your motorcycle insurance premiums at a minimum. Check the terminal connections to ensure that the cables are tightly attached. Make sure the terminals are free of debris, dust, or corrosion, which can cause poor electrical performance. Since the cold weather causes tires to lose air, you should check for proper tire inflation pressure. Check your tires for wear-and-tear. Keep an eye out for any objects, and cracks or grooves that would require replacement. Make sure you check your owner’s manual to determine the bike’s weight limit, as you don’t want to overload it, which can place stress on the tires. Check to make sure your fuel level isn’t low and that there are no leaks. Check the shaft drive, gear oil, hydraulic fluid, coolant, and engine oil, and replace any fluids that are running low. Ensure the throttle moves freely. Grease all petals and levers to ensure they are not broken. Make sure your bike’s cable doesn’t get in the way of the steering and inspect them all for folds, kinks, or wearing away. Check your hoses for any cuts, cracks, and leaks. Be aware of any wet or slick roads, and alert for puddles that can cause you to lose control. Always look for cracks and potholes in the road that could cause you to swerve and lose control of your bike. Use your headlights during the day and at night. Don’t tailgate or weave side to side. 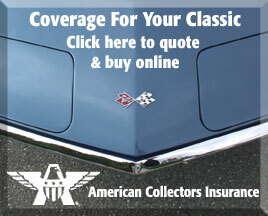 Get motorcycle insurance coverage you can rely on. Your policy will come with the support of a Yetter agent who is as eager to help you as you are to ride your bike. Ask questions about the claim process. Get helpful tips about the care of your bike. Get discounts so you can save the most. Have a happy spring and talk to your Yetter Insurance Agent about the ways to keep your motorcycle insurance costs low. We’ll help make sure you get the best help possible. Contact Yetter Insurance today at our Milford office. Visit www.yetterins.com or call 570-296-8329.